Received a call from a gentleman wanting a contact phone number for a friend. He gave a first name (Royve) and an 0800 number when pressed, but would not say who he worked for, only that he “had business” with our friend.I called the number he provided but their answer message does not identify who they are, asks for contact details so they can get back to you. Calling from Sydney, Australia, our fourth number, 0061283240300, has become one of the usual suspects on the list and has also been reported on both the Australian and the German tellows site with some users advising against answering the call. Some of you may recognize our fourth number, 0399881848, from last week. 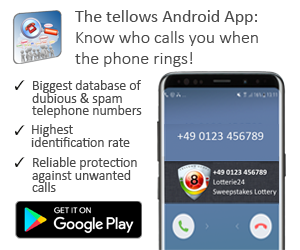 Making unsolicited telemarketing calls from Australia, the telephone number received a tellows score of 7 and is considered rather untrustworthy. 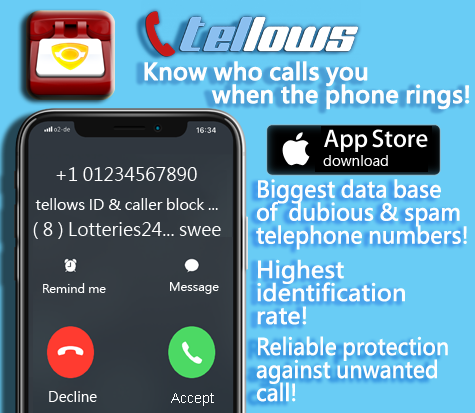 If there is a number bothering you with unsolicited telemarketing or nuisance calls as well, don’t hesitate to inform our users on tellows about it and exchange your experiences with others. Other than that, stay safe and spam-free! This entry was posted in Weekly Top 3 Spam and tagged annoying, Australia, New Zealand, News, nuisance calls, phone number, scam numbers, silent calls, spam, statistics, Tellows, Tellows score, weekly update on Friday September 6th, 2013 by Luise.